Is Your Home a Desert in Winter? If you are like me, nobody wants to do much work in the winter. My ancestral programming is strong, and what I really want to do is hibernate until spring. But there are a few very easy steps that we can all take in the winter to maintain our health, and one of the most important, and often forgotten or neglected steps is to maintain healthy humidity levels in our homes. If you are getting shocked when you walk across the carpet and touch something metal, your humidity is definitely too low and it is time to do something about it right now! Your home can actually be drier than a desert in the wintertime! In winter, your indoor humidity could fall well below normal healthy levels, whether you have central heating, a wood stove, or some other method to heat your home. I have seen humidity levels as low as thirteen per cent, and been shocked in a number of my friends' homes simply by walking across carpet. These low humidity levels are wearing, not only on you, but also on your pets, your plants, your furniture, and even your electronics, so it is important to maintain and measure indoor levels appropriately. 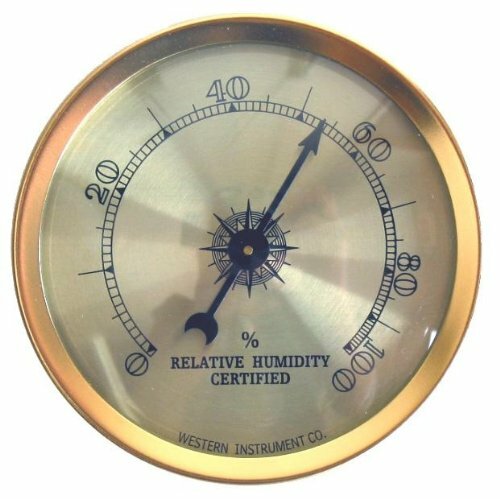 What is the right level of humidity? Ideally, you should strive to maintain a level of forty-five per cent to fifty-five per cent all year. Too low and everything dries out: the glue in your furniture; the mucous membranes in your eyes, nose and throat; and everything else--even the fibers in your clothing! In addition, your electronics could sustain damage in the event of static. With the proper humidity levels, your home will be less susceptible to a fire, because flammable materials will not catch alight as quickly if they are not dry (the water has to begin to evaporate first before flame can start to catch). Your home can even begin to experience drafts, as wood and caulk around windows, doors, and other places begins to dry out and outside air gets in. With low enough indoor humidity, your wood door could shrink, and if the difference between interior and exterior humidity is high enough, it could warp or crack. There's even one more reason to maintain the humidity in your home in winter: the more water in the air, the higher the dew point. The higher the dew point, the less your indoor temperature will fall, because the temperature will resist falling below the dew point. Instead, energy transfer will take the form of condensation rather than falling temperature, so your heating bills will be less costly, too! You can calculate your dew point and see for yourself. It's quite easy to monitor interior humidity levels in your home, and correct them if they are too far out of whack. Since our homes tend to be much drier in winter, it is especially important during cold weather to check your indoor levels regularly, and that can be easily done with a hygrometer. These are inexpensive and work beautifully once calibrated--and can even be a design element in our homes. To increase humidity, you can get an inexpensive humidifier, or simply leave small fountains running, or leave shallow dishes of water out to let the water evaporate. When you shower, don't run the exhaust fan, but open the door when you finish to let the humidity in the bathroom escape into the main living area. A fan will hasten the process. These two items necessary to monitor indoor humidity and keep your humidity at the right level are not expensive, and if you avoid even one trip to the doctor, or the furniture restorer, you will have well repaid your initial investment. 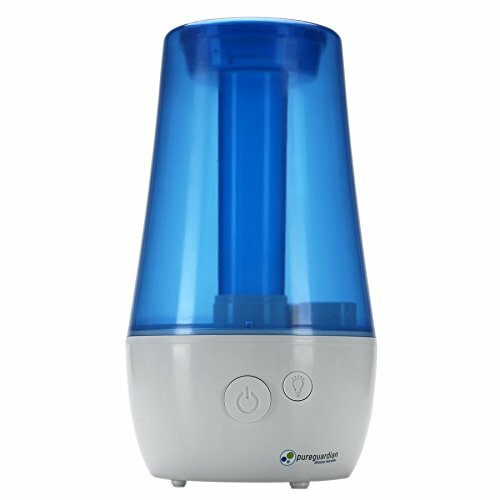 I have one warm mist humidifier and one ultrasonic humidifier. Use distilled water in yours, and give the unit a rinse with a dilute vinegar solution every month or so and you should never have any problems. Cheap humidifiers won't last forever, but one I bought for $3 at a garage sale worked for over 12 years. I have two of these, one for the bedroom and one for the main living area. Because I have musical instruments, antique furniture, and artwork, it's even more important for me to maintain proper humidity levels. This product gets wildly mixed reviews, but at least half of the bad reviews are because the users do not understand that these hygrometers must be calibrated from time to time, and that the needle has a bit of play. Another set of bad reviews for this product are because the hygrometers arrive broken, and Amazon is great about replacing items broken in transit, but the users never bothered to contact Amazon. However, these hygrometers, once calibrated, are pretty accurate, and they do not require batteries. To calibrate them, simply search for the "salt test" method, and follow the instructions. There is a small screw on the back to calibrate the instrument, and you'll need to recalibrate them occasionally. Turn the screw so that the needle is accurate, and remember that you may have to turn for a bit before the needle will respond. The face is real glass; remember that glass is fragile. It looks beautiful and people often remark on the one that is on the piano. By maintaining the proper humidity levels inside your house, you should experience a noticeable increase in your comfort, your health, and savings on your heating bill as well, not to mention your safety by reducing your risk of a fire. So take the necessary steps to maintain the correct levels, and you will be amply repaid for the minimal investment and effort! Great article. Also if too much moisture in the air can cause mould and this is very unhealthy, symptoms often appearing like that of a cold. I agree. That is why the monitors are so important!